Shares of a small oil refining company controlled by Carl Icahn soared 10.5% Thursday after Icahn was tapped by President-elect Trump to advise his administration on how to cut government regulations. Icahn told CNN earlier this month that he is not opposed to requiring renewable fuels to be blended into gasoline, but that "what the EPA is doing is natural stupidity. They are ruining companies for no reason." Icahn predicts that if the EPA rules remain in place, there will be widespread bankruptcies among independent refiners. That in turn will give the big oil companies even more control of the market, he argues. "I believe we all can agree that the mandate of the EPA is to improve our environment, not to benefit 'big oil' and large gas station chains by bankrupting innocent refiners, especially when admittedly doing this in no way achieves the goal of benefiting our environment," Icahn said in a public letter to the EPA in August. Late Wednesday Icahn was tapped by Trump to be his lead advisor on cutting government regulations which hurt business. "It's time to break free of excessive regulation and let our entrepreneurs do what they do best: create jobs and support communities," he said in Wednesday's announcement. "Regulatory reform will be a critical component of making America work again." 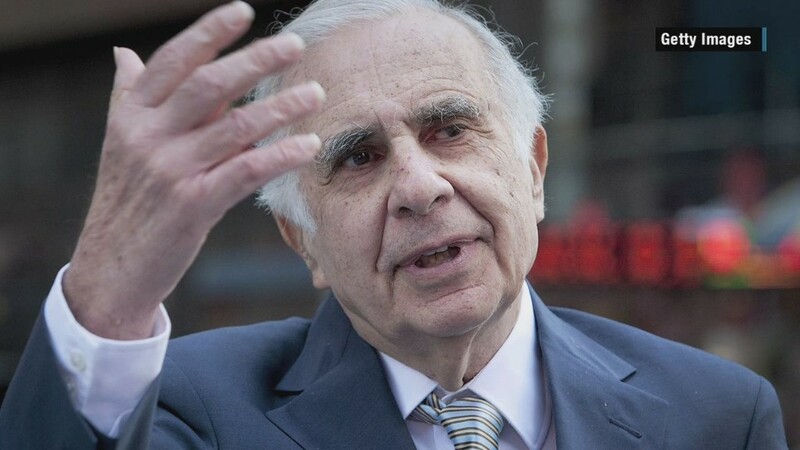 Icahn told CNBC Thursday that he won't be making policy in his new position, only "more or less doing the same thing I do now, which is talk to Donald from time to time." In addition to his role cutting regulations, Icahn also confirmed to CNN that he met several times with Oklahoma Attorney General Scott Pruitt, Trump's pick to run the EPA, during his vetting process and advised Trump on his nomination. Correction: An earlier version of this article incorrectly reported Thursday's gain in CVR Energy and the percentage of Icahn's portfolio those shares represent.